Studiainitalia is delighted to offer all its customers and blog followers a special discount! 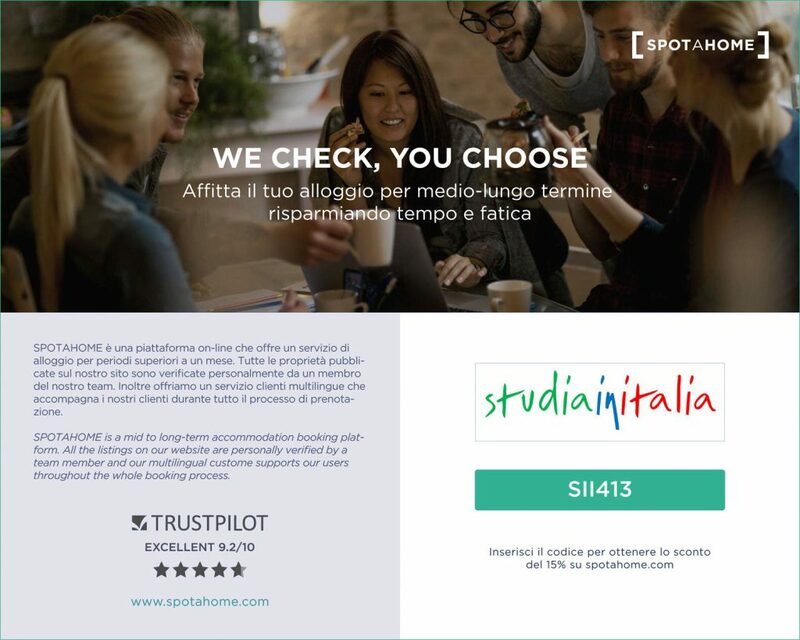 If you are looking for mid- to long-term accommodation in Italy, you can choose the easiest and safest way to find and book your ideal apartment with Spotahome! 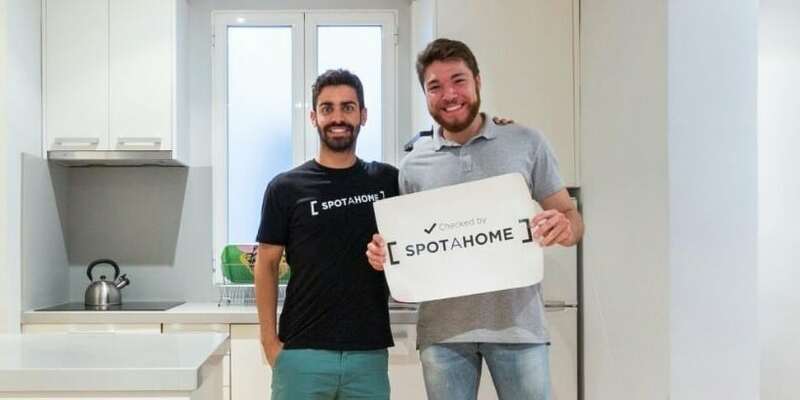 Spotahome is an online accommodation platform for students and professionals looking forward to an Italian expat experience: each apartment for rent in Italy advertised on www.spotahome.com is personally visited by a professional photographer who takes photos, an HD video and designs a floor plan of the property. Use the Promo Code below to get a 15% discount on your booking fee through Studiainitalia! You can also download the PDF flyer here. On Spotahome you will find accurate property descriptions and photos, and you can check the Landlord’s Policies to make an informed decision. To book, simply click on the “Request to Book” button, tell the landlord about yourself, and proceed to the payment authorization page. This is just for Spotahome to check that your payment method is valid; no money will be taken from your account unless the landlord accepts your booking request. The landlord has 48 hours to accept or reject your booking request. Can’t find the right apartment for you? Spotahome’s help center is at your service - get in touch and they will personally help you find and book your home. If you don’t speak English, don’t worry – we at Studianintalia and Spotahome speak your language! Have you ever dreamed about learning the Italian Language? Romanticised about studying art in the birthplace of the Renaissance? Enchanted by century-old craft techniques steep in Italian tradition, or simply wish to 'get lost' in the beauty, history, and cruise of Italian life? Then an Italian learning vacation is exactly what you need. At Studiainitalia we offer a variety of courses all around Italy for foreigners from all over the world. We proudly share our local knowledge, expertise, and passion to create inspiring Italian learning experiences. Leaving our students with new skills and memories that will last a lifetime. But don't just take our word for it! Some of our recent students share their Italian course experiences with us. "It was my first time signing up for a course with Studiainitalia, but certainly not the last. The Italian lessons were very dynamic and productive. Not only did I learn the language but also the culture! The teachers were charming and supportive, the school was in the city center, and the accommodation was great! One of my best experiences!". "My Italian learning experience in Rome was very enriching. The teaching method communicative, the lessons interesting and a great program of cultural activities. Studiainitalia’s management was great, Federica’s tips are priceless. 100% Recommended". "The oil painting course was a wonderful experience. My teacher was patient, helpful and with her guidance, I expanded my oil painting skills beyond expectations. The gilding course was a rewarding experience. My teacher had over 35 years of gilding practice learning the art from her father and has restored historic works from famous collections. This is evident in her teaching. The Studiainitalia staff and management were extremely helpful and very accommodating. This, combined with the stay in the marvelous city of Florence, have made my study experience in Italy a remarkable experience". "My teacher was passionate, and patient, explaining every detail step by step. The experience gave me so much knowledge and small details that I had never imagined, it made me understand and value how difficult and beautiful this trade is. Also, thank you Federica for all your help and guidance". Contact Studiainitalia today to find out how you can get started on your Italian learning holiday. 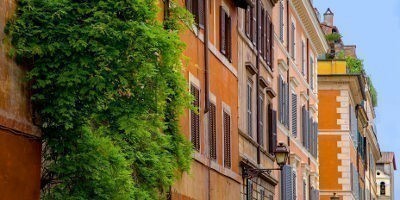 If you want to study in Italy and are looking into accommodation options, a homestay is definitely worth thinking about. Whether you are traveling to learn Italian or to attend a course of a different kind (art, craft, cooking, restoration), living in the home of an Italian family teaches you so much more than the language. In fact, by staying with an Italian host family you can eat, sleep and breathe the Italian culture. It is a full-immersion life experience. At Studiainitalia we offer a variety of accommodation options, including independent flats, hotels and family stays. Our students who opted for homestays all agree on the fact that their language acquisition would not be nearly as strong if they had not lived with an Italian host family. Why is it so effective? Because you must practice Italian at home and avoid the temptation to speak to other students in your native language. 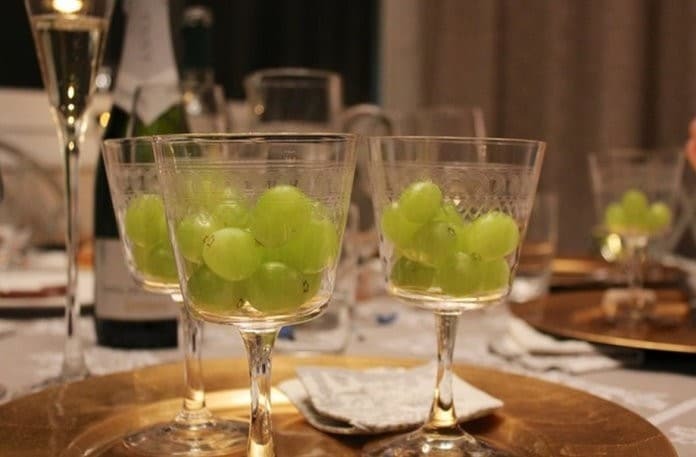 Even if you don’t talk much, you will be exposed to the chatter of the Italian TV in the background, the conversations between family members, and other little things of everyday life that will improve your language skills. 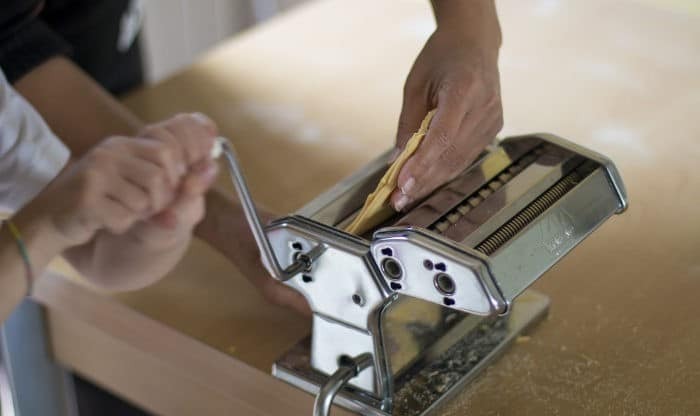 What to expect from living with an Italian Family? An authentic Italian experience, beautiful memories and new friends, as you will treasure your connection with the family when you leave. 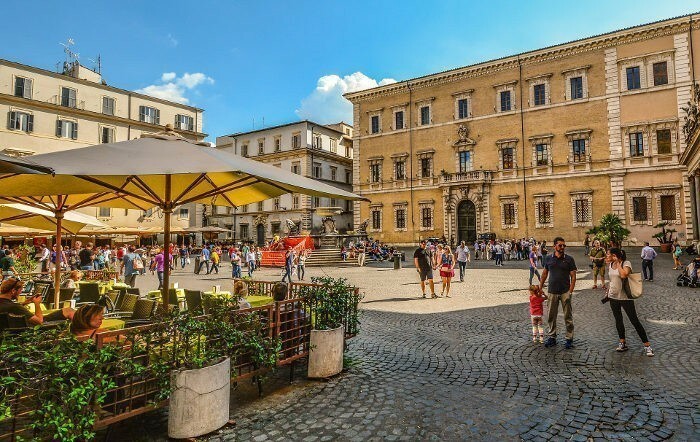 If you would like to improve your Italian studies outside the classroom in a warm, welcoming social setting, a homestay in Italy is ideal for you. Contact us if you have any questions or would like to know more about our registered, approved Italian hosts. Are you looking to experience a Summer Camp in Tuscany to learn Italian while having fun and expanding your cultural horizons? Whether you are a teenager searching for the perfect summer school or a parent looking for the best language camp for your kids, this article is for you. After a careful selection of schools and programs in Tuscany, Studiainitalia recommends Orbetello as the best choice for your Summer Camp in Italy. Here is why. Orbetello is a small town that lies in the middle of the namesake lagoon, which is a WWF Nature Reserve, in the southern area of Tuscany known as Maremma. 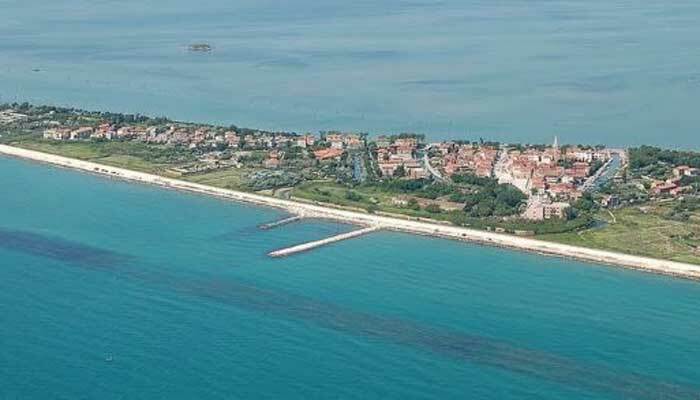 It can be easily reached with a 90-minute drive from Rome Fiumicino International Airport and a 2-hour drive from Pisa Galileo Galilei Airport. It also has a train station (Stazione Orbetello-Monte Argentario) that connects Orbetello to Civitavecchia and Rome in the south, and to Grosseto and Livorno in the north. 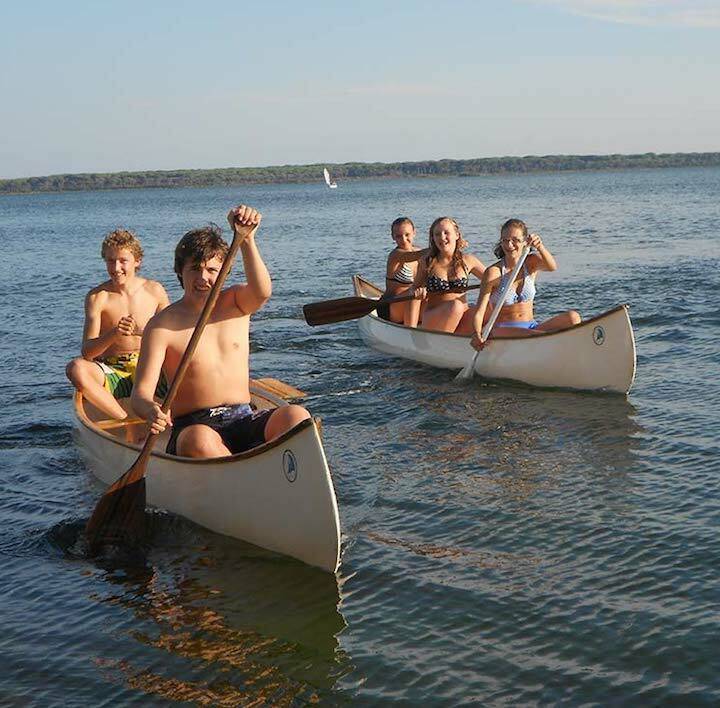 Young people who choose Orbetello for their Italian summer camp are surprised by the vibrant atmosphere that can be found here between June and August. In fact, there are regattas in the lagoon, food festivals in the neighbouring sea villages, art and culture events in and around town, the antiques market on the first weekend of every month. With a 20-minute bicycle ride along a panoramic bike path you can reach some of the most pristine beaches in Tuscany. In the evening, locals hang out on the “corso” (main street) for an aperitivo or dinner with friends. The tranquil and safe character of Orbetello is a crucial factor for most parents who are looking for the best summer study abroad experience in Italy. 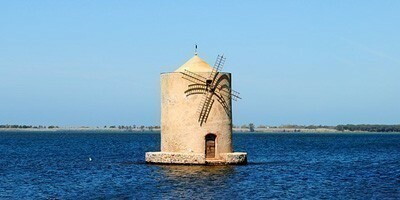 Not only is Orbetello safe and lively, it is also a beautiful town with an important history. For example, in the 16th century it became the capital of the State of the Presidi under the Crown of Spain. Also, the town was the starting point for Italo Balbo’s famous “air cruises” between 1930 and 1933. 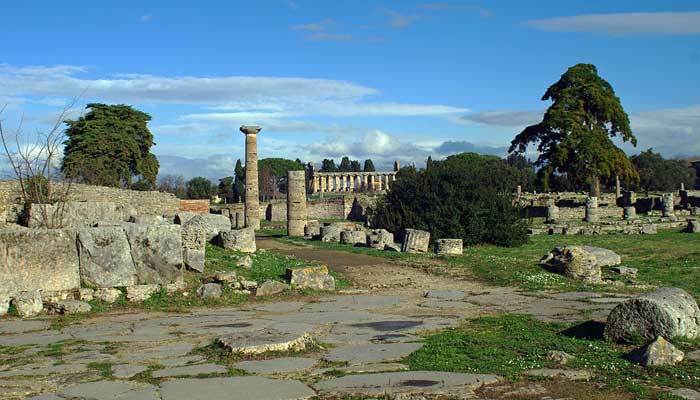 There are many curious things about the local history that students will enjoy learning when living in Orbetello. Orbetello connects Tuscany's mainland with the Promontory of Monte Argentario, a dream summer destination for many Italians. Studiainitalia works with a language school that offers a fantastic junior summer camp in Tuscany. Every year it proposes a summer programme for high school students from 13 to 17 years old. The Summer Programme includes 20 Italian lessons (50 minutes long) per week, plus a variety of supervised leisure, sport and cultural activities. The language lessons are delivered by qualified native-speaking teachers, who work with small groups of 5-10 students in a fun and stimulating atmosphere. Some classes are held in the beautiful garden that surrounds the school. Studiainitalia also offers half-board accommodation with carefully selected, friendly and helpful host families who live near the school. The fees include twenty 50-minute Italian lessons per week, course material, computers and wi-fi at school, half-board accommodation and scheduled/supervised leisure activities. If you have any questions about the Summer Camp in Tuscany or about other summer language courses in Italy, do not hesitate to contact the Team at Studiainitalia or comment below. It is easy to see why Venice is one of the most visited and loved cities in the world, thanks to its beautiful ancient buildings, museums and charming canals. And away from the itineraries of mass tourism, you can find more surprising wonders. 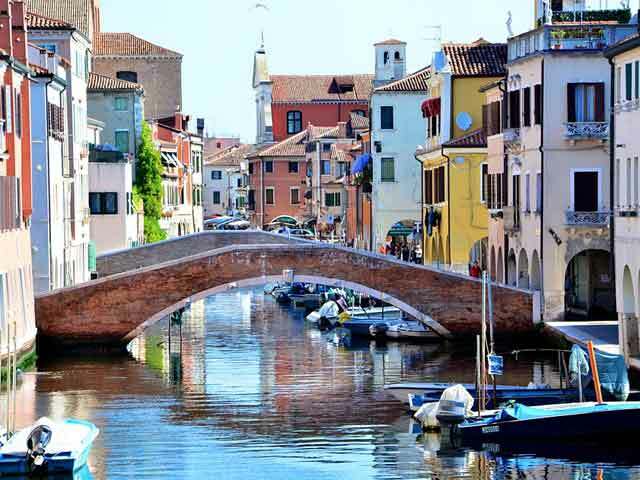 If you have decided to learn Italian in Venice, we have 5 lesser-known sights where you can escape the crowds, enjoy the scene and even find inspiration to do some homework and study the beautiful language. Run by eccentric Venetian Luigi Frizzo, this library is home to hundreds of books, both new and used. The books are chaotically stacked in old gondolas, canoes, and bathtubs. You will also find a staircase made from old, colourful books. Cats are some of the regular visitors at Libreria Acqua Alta. The library is located off the beaten path near the Chiesa di Santa Maria Formosa. 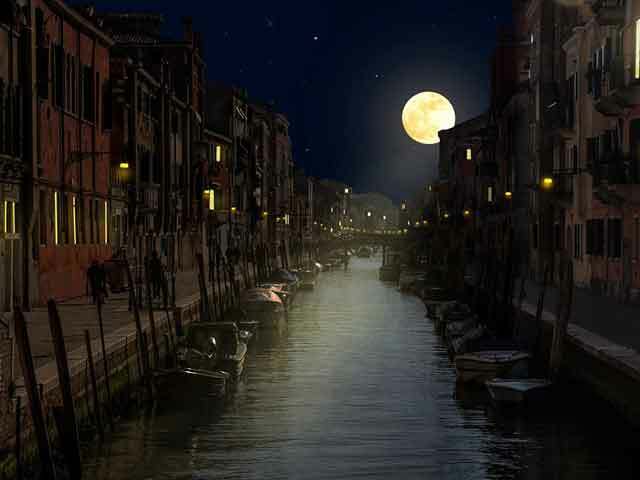 You can discover the mysteries of Venice at night with a 1.5-hour walking tour. It takes you on a journey to the city’s hidden corners, with a ghost-expert guide who recounts spooky ghost stories and other legends as you walk. Recoil at gruesome facts about Biasio, the murderous butcher of Venice; see the reputedly haunted Bovolo staircase; explore the shadowy squares and empty streets as you hear more sinister tales! 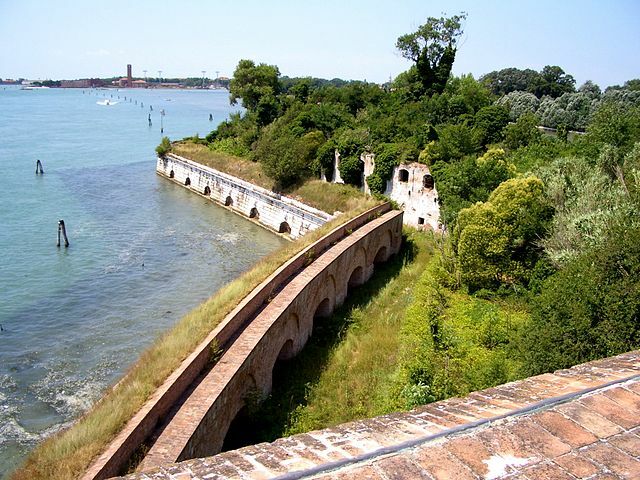 This beautiful fort is located on Isola di Sant’Andrea, an island that is lesser known compared to the famous Murano and Burano. The 17th-century fort was built to defend the city from its enemies, and was the work of architect Michele Sanmicheli, who designed a number of civil and military buildings throughout the Venetian Republic. The top of the Island’s scruffy ruins makes for an excellent picnic spot with unrivalled views over the lagoon and city. Also known as “Venezia in piccolo”, Chioggia is a less touristy version of its famous neighbour Venice. It provides you with a tranquil getaway with arched bridges and narrow canals. You will not find much art here, but the town is ideal for a nice day trip when Venice is overcrowded. Choose one of its seafood restaurants and imagine that Venice might have looked like Chioggia had it not discovered the riches of trade. This shop, whose name translates as “misdeeds boutique”, sells products made with recycled PVC by prisoners from the jails in and around Venice. Here you will find handmade goods that go from t-shirts to notebooks and bags. The shop is a non-profit initiative run by Rio Tera dei Pensieri, a work-in-jail cooperative that offers prisoners training and professional rehabilitation. 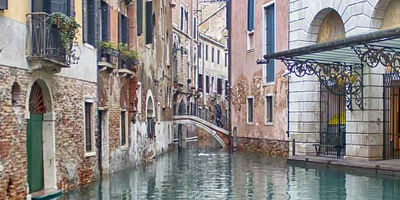 Are you looking for an Italian language course in Venice? With Studiainitalia you can learn Italian in the best language schools, with intensive courses composed by 20 lessons per week, available all year round. Get all the information you need about the courses, prices and accommodation options for your Italian course in Venice here. Signing up for summer courses in Italy provides the perfect opportunity to mix education with fun activities in a great weather. This summer you can learn Italian in the morning, and enjoy outdoor activities such as sailing, cycling and beach basking in the afternoon. Thanks to its network of excellent and dynamic language schools, Studiainitalia has some great summer language programs and special offers for you! 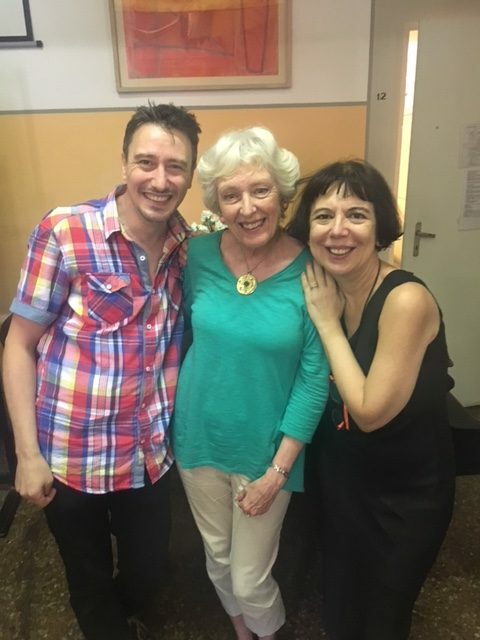 If you want to learn Italian in Turin, Italy’s “Little Paris”, don’t miss the discount of 10% off summer courses that take place in June, July and August. Take advantage of this time of year to visit the amazing royal palaces, which become the stage for entertaining exhibitions, theatre shows and concerts. Check out the calendar of summer events of Palchi Reali. 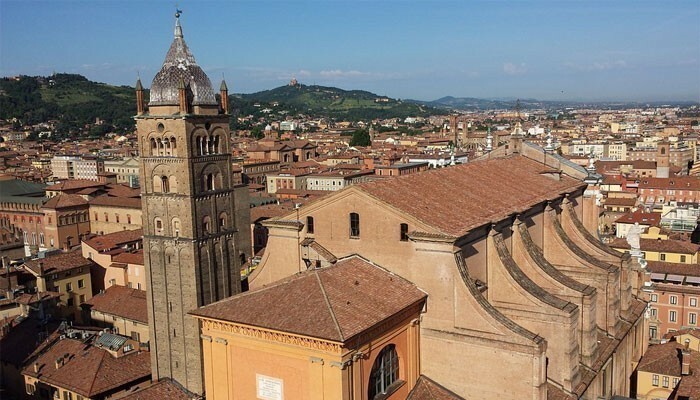 Book by 31 August to secure a 15% discount on your Italian course in Bologna, to study in any period of the year. The city hosts a variety of events and fairs. Just to mention a few: Bologna Beer Festival in October, Creative World (hobbies, fine arts and DIY) in November, and International Motor Show in December. Sign up for an Italian course in Venice between May and the second week of September, and the language school will provide you with free access to lounge chairs and parasols on a nice beach at Lido. Learn Italian in the morning and do your homework and practice later… on the beach! The Italian language school in Trieste gives you the opportunity to reserve and use a bicycle for free throughout the duration of the course! Bike lovers can also join weekly guided excursions to explore the surroundings, such as the Karst Plateau, the beaches of Grado and the Terrano wine route. Free bicycles are available on a limited number, sign up right away! 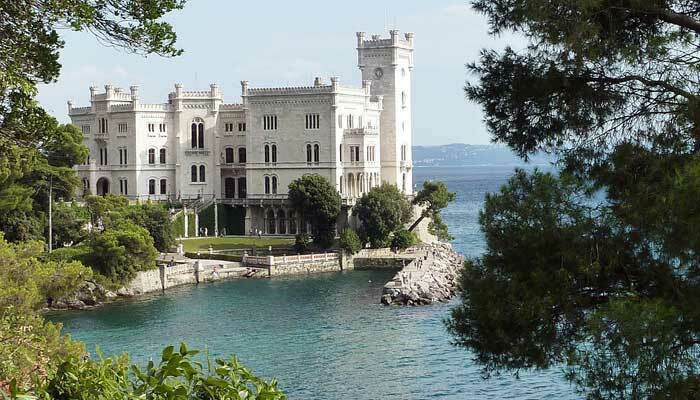 On Saturdays, the school also organizes sailboat excursions in the Gulf of Trieste at the special price of 30 euro per person. 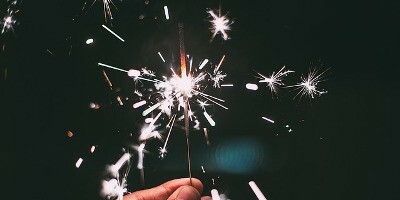 Special, All-Inclusive Price for the Ferragosto Experience in Salerno: 450 euro. If you need accommodation or more information on the Ferragosto Program, contact us. We will be delighted to assist you! Don’t hesitate to contact Studiainitalia for a quote or further information regarding any of the Summer Courses in Italy! Would you like to learn Italian, the language of Dante Alighieri, for free and comfortably from your PC at home or on a portable device as you travel around? The internet is full of free online courses, but only some offer good quality content. At Studiainitalia, we have selected 5 great resources so that you can learn Italian online for free! 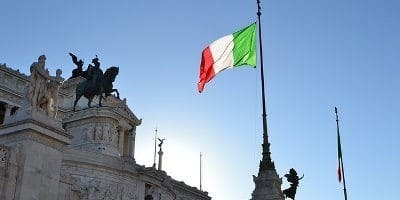 This simple yet rich website offers a series of free Italian lessons focused on introductory conversations, vocabulary and grammar. It also features a collection of old stories for children, which are great for adults as well: you can read the story in Italian or listen as a native Italian speaker reads it to you. 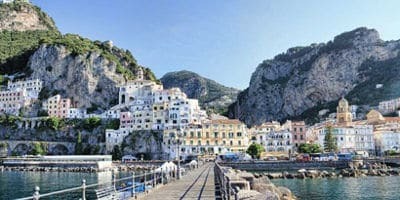 You can Learn Italian by downloading these free podcasts, and you will realize how 5 minutes a day can make the difference! Learn Italian Pod has 175 lessons divided in short anecdotes. One of our favorites is called “Aglio, Olio, e Peperoncino”, named after the popular Italian dish that is easy and inexpensive to make, packed with flavor and healthy ingredients. It is a fun podcast that allows you to practice useful Italian words and expressions relating to Italian cuisine and cooking lessons. This application was rated by Google as a “Must have app” for Android in the language-learning category. Busuu gives you the opportunity to learn Italian with a fully interactive course, tailored to your education goals. After studying, you can submit practice exercises where native speakers will help you perfect your skills. 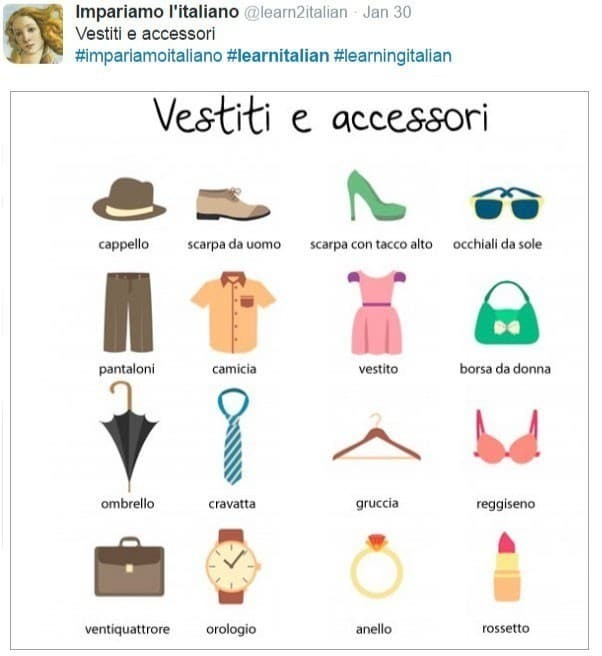 Simply go on Twitter and search for #LearnItalian. You will get photos, tips and infographics for you to learn a new word every day directly on your feed! Learn Italian Online or in Italy? Online or home-based courses can be a great and cheap – if not free – resource and solution. Much of the progress and accomplishments in learning the language depend on the quality of the course and on your own motivation and dedication. If you take language learning seriously and want to have a long-lasting, working knowledge of Italian, the best way to study it is to travel to Italy and experience the country, the language, the culture and the food like a local. Studiainitalia offers Italian courses in different cities and in hand-picked language schools all across the Bel Paese, courses that you can combine with Creative Travel experiences to maximize and accelerate the learning process. Learn about our Italian language courses in Italy. 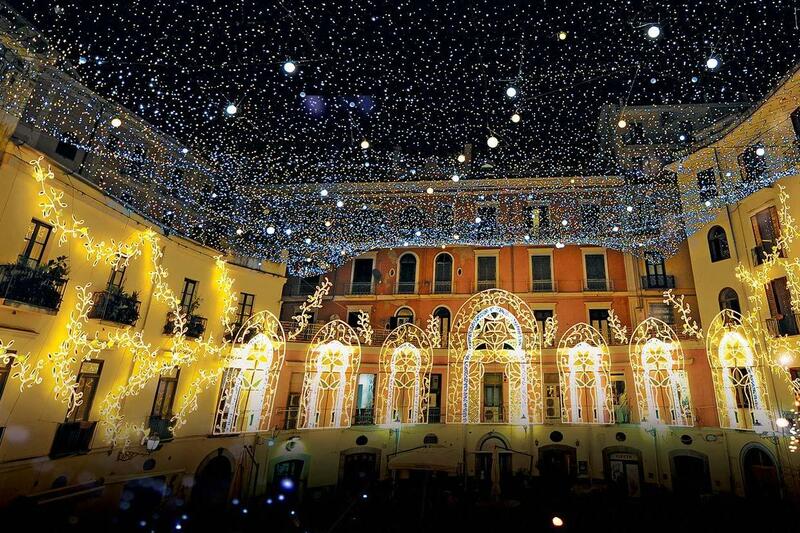 Every year, Salerno hosts one of the most spectacular and impressive exhibition of light artworks, called Luci d’Artista. These are installed along the streets, squares and parks of the pretty town in Campania. 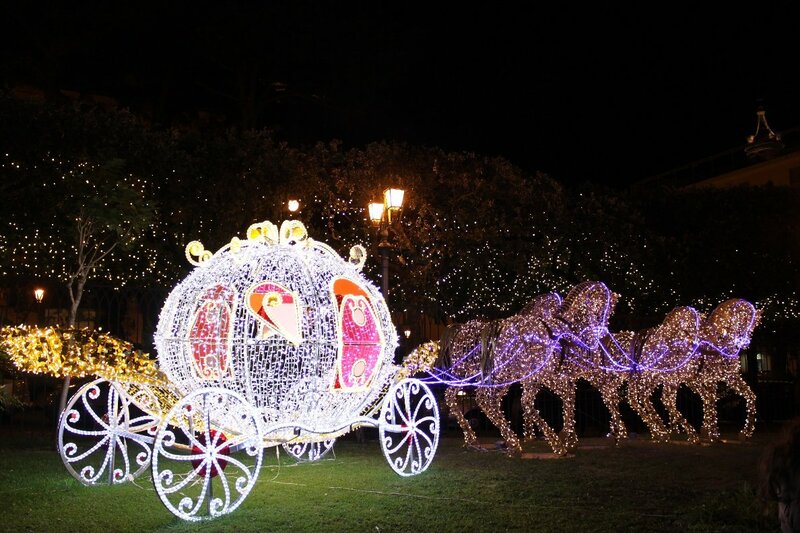 The old town center is full of giant figures and themed settings: elegant light cascades and globes illuminate Corso Vittorio Emanuele; a recreation of "One Thousand and One Nights" is visible in Piazza Flavio Gioia; fairy tales delight children in the “Enchanted Garden” of the Villa Comunale; just to mention a few installations of this year’s edition. You can either admire Luci d’Artista by strolling around town with your nose up or… gaze downwards from the sky! In fact, a giant ferris wheel was installed in Sottopiazza della Concordia, giving visitors a unique view of enlightened Salerno. During this time of year, Salerno also offers beautiful Christmas Markets on Lungomare Trieste, and an evocative Sand Nativity at the Maritime Station. 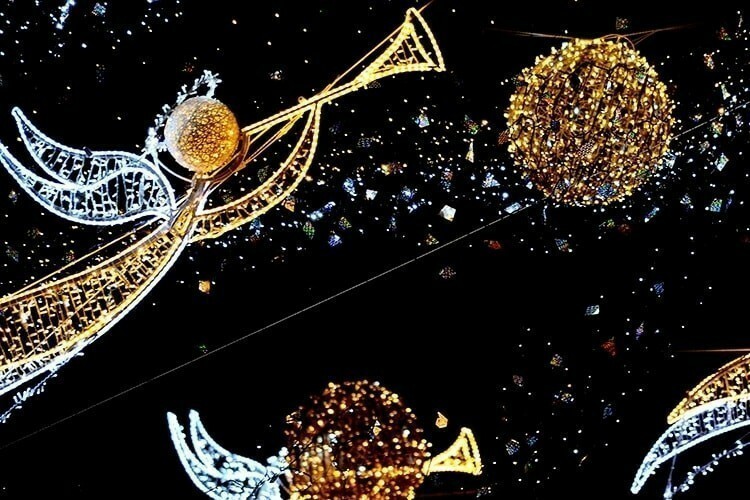 The Nativity Scene can be seen from 8 December 2016 to 8 January 2017. 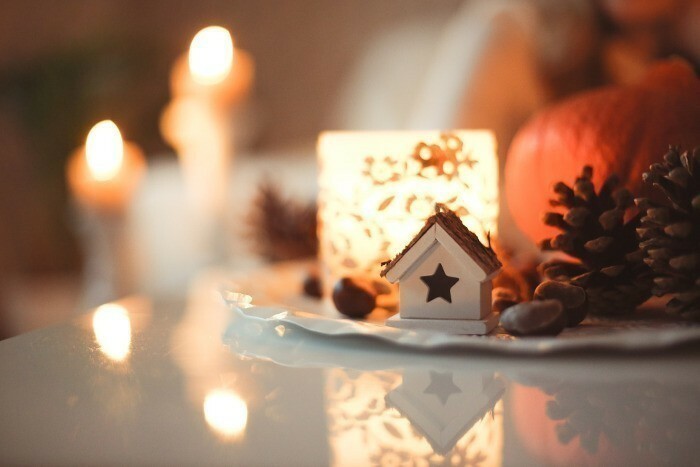 The storytelling of Luci d'Artista 2016 is based on 4 main themes: Christmas, Myth, Dream and Time. When to see Luci d'Artista? Inaugurated in early November 2016, the initiative has reached its 11th Edition in Salerno, and stays until 22 January 2017. During this period, for 5 Euro you can buy the special SALERNO LUCI D'ARTISTA CARD, which gives you access to many benefits and discounts in museums, restaurants, parking lots, events and attractions. Be a Creative Tourist in Salerno: sign up for an Italian Language Course! Studiainitalia offers Italian courses in a language school in the historic center of Salerno. All the staff and teachers are specialized in teaching Italian as a foreign language, and organize social activities every day, such as seminars and workshops about the Italian culture, city tours, and activities that allow students to experience the “local” in a fun way. Click here to read more, including costs and accommodation options. In a Nutshell: Lucy Honeychurch and her chaperon, Charlotte Bartlett, arrive in Florence. They are troubled by the fact that they don't have rooms with a view.. Locations include: Via dei Bastioni, Via San Miniato, Via San Niccolò, Piazza San Giovanni, Via dè Cerretani, Piazza dell'olio, Via de' Pecori, Via Lamarmora, Ponte Santa Trinità. Location include: San Miniato al Monte, Piazzale degli Uffizi, Lungarno Maria Luisa de' Medici, Via de' Girolami, Piazza Santissima Annunziata, Via della Ninna. This Italian comedy-drama film was directed by Mario Monicelli. It made it to number one on the Italian box-office in front of Steven Spielberg's Jaws. Locations include: Piazza Santa Croce, Piazza Oberdan, Ponte degli Scopeti, Piazza SS. Annunziata, Piazza del Galluzzo, Via de' Renai, Via della Colonna, Via Monalda, Piazza San Felice, Viale Machiavelli, Piazza Demidoff, Viale Mazzini, Piazza Beccaria, Cinema Metropolitan, Lungarno Serristori, Cinema Odeon, and many others. In a Nutshell: The movie tells the story of four middle-aged friends in Florence who organize together idle pranks (called zingarate, "gypsy shenanigans") in a continuous attempt to prolong childhood during their adult life.